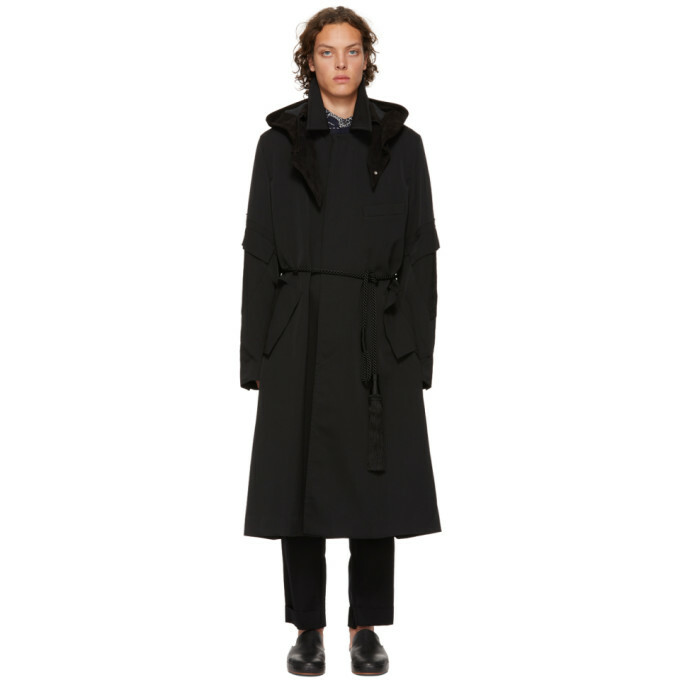 Long sleeve wool twill coat in black. Raw edge and goatskin suede trim throughout. Spread collar. Detachable modified hood with press-stud fastening. Concealed button closure at front. Welt pocket at chest. Detachable rope-style self-tie fastening featuring tassel accent at waist. Flap pockets at waist and sleeves. Four-button surgeon’s cuffs. Central vent at back hem. Welt pocket at fully-lined interior. Logo-engraved tortoiseshell hardware. Tonal stitching.